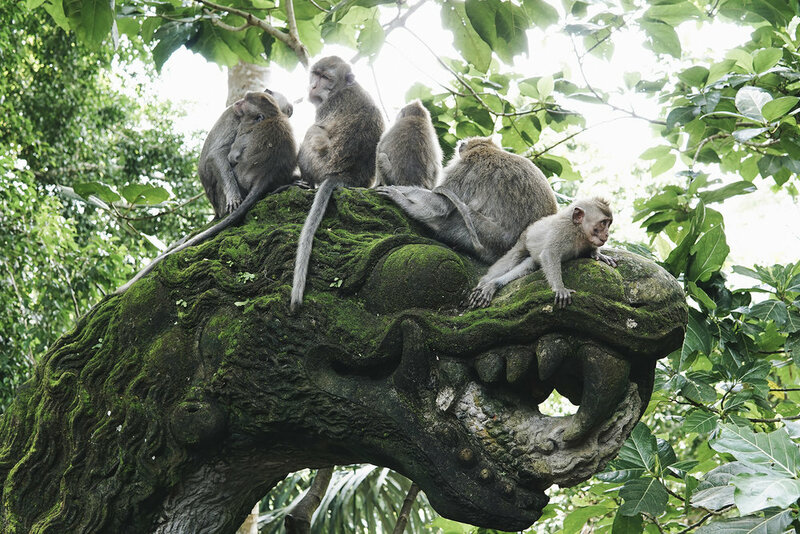 The Sacred Monkey Forest is a nice option over some of the other animal parks in Bali where the animals are mistreated. 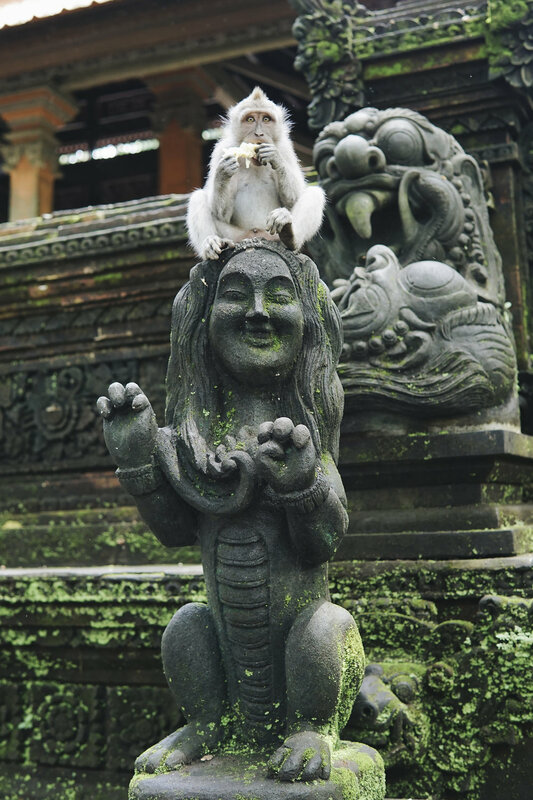 In the Monkey Forest, the monkeys roam free in their environment. 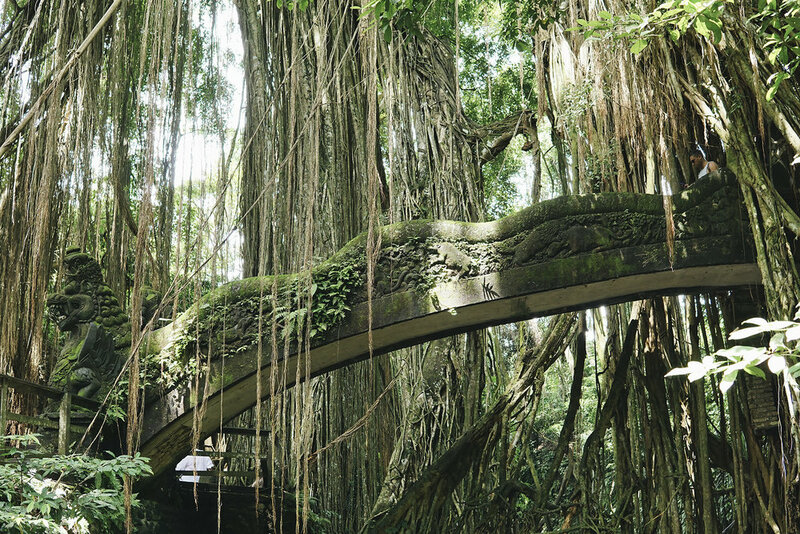 The park is well kept and has a lot of sculptures, bridges, and even a local art exhibit. They do sell bananas to give to the monkeys which probably disrupts their natural eating habits, but they are happy and healthy eating things they can digest. There are signs in the park which tell you how to interact with the monkeys. Pay close attention since they can be aggressive if they feel you are a threat. We read the signs, and had a wonderful time seeing so many monkeys in this beautiful atmosphere.